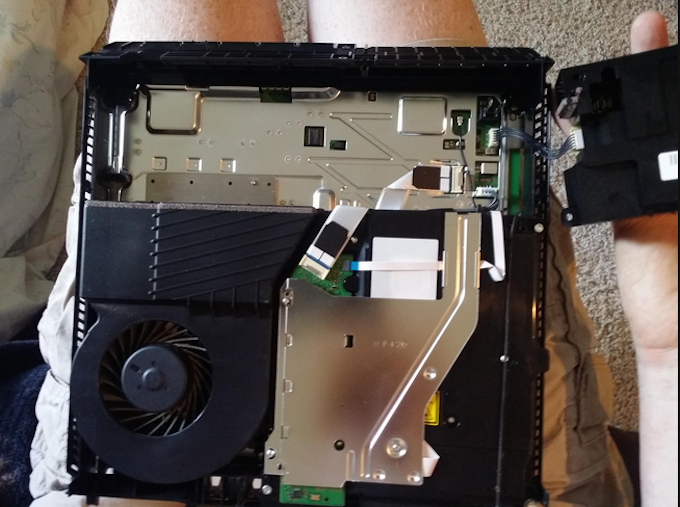 Levi finally gave up hope and took apart his PS4 searching for bugs and dust. There’s a certain sense of relief provided by a warranty — when your product stops working, you can just send it in for repairs or sometimes receive a new one to replace it. But Consumerist reader Levi says he found himself out of luck after his PlayStation 4 gave him the “blue light of death,” despite the fact that it was under warranty. Levi tells Consumerist that when his “very lightly used 10-month-old” PS4 went kaput, he got a request number to have it serviced, and Sony send him a box to ship it in. He notes that it was a used box. At the time, he noticed Sony’s rules warning users not to send in equipment filled with bugs and dust, as that would void the warranty. He waits, anticipating the day his PS4 is returned and he can get back to gaming. Finally, the day arrives. He sets up the console, plugs it in to test it out… and the blue light of death is still there, mocking him. This, despite the fact that there was no note or other information letting him know the system hadn’t been repaired. When he chatted with customer service online he says the representative told him he had a bug-infested system. He tells that rep it’s impossible, and escalates the issue to a phone conversation. He asks the definition of a bug — a gnat? Cricket? He’s shocked, so he asks for a record of how that was determined, a paper trail, photo documentation or any kind of proof of bugs or dust. Perhaps, he pointed out, there could be bugs in the used box Sony had sent him. Levi says the rep apologized and said that is a different department, and besides, the information is for internal use only and his system cannot be serviced. End of the line. After giving up home that Sony would relent, Levi says he decided to disassemble the system, using skills gleaned from his history in electronics repair, to search for evidence. “Sadly, there was not a single insect to be found,” he writes, noting that there was a little dust on the fan, but not more than what’s to be expected. 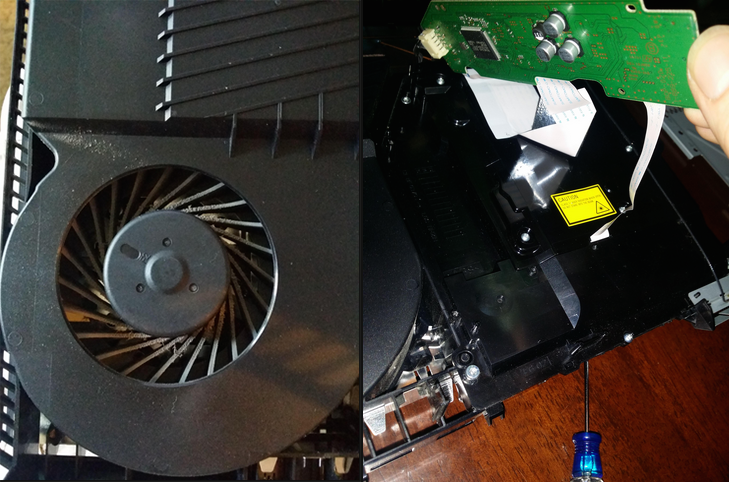 He posted photos to show what he found on imgur, including the shot of the slightly dusty fan. He thinks the burden of proof should be on Sony, and beyond that, the company could at least explain what’s going on before sending back an unserviced product. We’ve reached out repeatedly to Sony asking if the company could explain why the PS4 was sent back without explanation, and if there was any information about the inspection and documentation process that Sony could share to shed light on the situation. At this point, Sony has not responded to our request for comment or information. We’ve heard reports of this before, but we don’t have a good sense of how often this happens, or for that matter, how dusty is dusty. If you’ve been denied service for your PlayStation due to bug and/or dust, email us your story at tips@consumerist.com with the subject line BUGS AND DUST. Why Are Roaches So Obsessed With The PlayStation 4?